UPDATE: With emergency repairs completed on a water supply pipeline at Theresa Creek Dam, Clermont residents can resume water usage this morning. On Sunday afternoon, Isaac Regional Council put in place urgent water restrictions asking residents to use water for essential purposes only to allow urgent repair works to be carried out on a cracked water supply pipeline. Mayor Anne Baker thanked residents, businesses and industry for their immediate response to council's call for essential water use. ISAAC Regional Council is urging Clermont residents to use water for essential use only while emergency works are underway to repair a cracked supply pipeline. 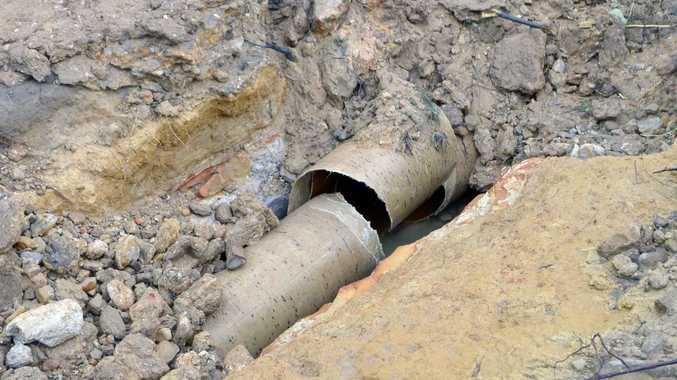 Mayor Anne Baker said immediate repairs to the pipeline, located at Theresa Ck Dam, were critical as it supplies water to the town of Clermont. "To keep the reservoirs at a safe level while we fix the issue, please use water for essential use only," she said. "This means only use water for drinking, showering and toileting. "There must be no outside use, except to water livestock and pets. Please do not water your grass or wash your cars. "We appreciate residents need to use their washing machines, however please only do a load of washing if it is critical or essential." Council apologises for any inconvenience these emergency repair works may cause and wishes to advise residents that steps are being taken to ensure minimal disruption. Council will continue to issue updates as new information becomes available. For more information contact 1300 472 227.